↑ 1.0 1.1 Keene, Michael (2003). Online Worksheets. Nelson Thornes. p. 38. ISBN 0-7487-7159-X. ↑ 2.0 2.1 Penney, Sue. Sikhism. Heinemann. p. 14. ISBN 0-435-30470-4. ↑ Partridge, Christopher Hugh (2005). Introduction to World Religions. p. 223. ↑ Kashmir, Singh. SRI GURU GRANTH SAHIB — A JURISTIC PERSON. Global Sikh Studies. Retrieved 2008-04-01. ↑ Singh, Kushwant (2005). A history of the sikhs. Oxford University Press. ISBN 0-19-567308-5. ↑ Religion and Nationalism in India By Harnik Deol. Published by Routledge, 2000. ISBN 0-415-20108-X, 9780415201087. Page 22. 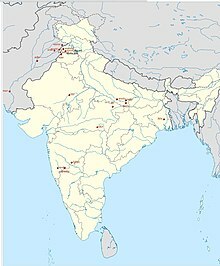 "Remarkably, neither is the Qur'an written in Urdu language, nor are the Hindu scriptures written in Hindi, whereas the compositions in the Sikh holy book, Adi Granth, are a melange of various dialects, often coalesced under the generic title of Sant Bhasha." The making of Sikh scripture by Gurinder Singh Mann. Published by Oxford University Press US, 2001. ISBN 0-19-513024-3, ISBN 978-0-19-513024-9 Page 5. "The language of the hymns recorded in the Adi Granth has been called "Sant Bhasha," a kind of lingua franca used by the medieval saint-poets of northern India. But the broad range of contributors to the text produced a complex mix of regional dialects." History of Punjabi Literature by Surindar Singh Kohli. Page 48. Published by National Book, 1993. ISBN 81-7116-141-3, ISBN 978-81-7116-141-6. "When we go through the hymns and compositions of the Guru written in Sant Bhasha (saint- language), it appears that some Indian saint of 16th century". Introduction: Guru Granth Sahib. "The Guru Granth Sahib is written in Gurmukhi script. The language, which is most often Sant Bhasha, is very close to Punjabi. It is well understood all over northern and northwest India and is popular among the wandering holy men. Persian and some local dialects have also been used. Many hymns contain words of different languages and dialects,depending upon the mother tongue of the writer or the language of the region where they were composed." Songs of the Saints from the Adi Granth By Nirmal Dass. Published by SUNY Press, 2000. ISBN 0-7914-4683-2, ISBN 978-0-7914-4683-6. Page 13. "Any attempt at translating songs from the Adi Granth certainly involves working not with one language, but several, along with dialectical differences. The languages used by the saints range from Sanskrit; regional Prakrits; western, eastern and southern Apabhramsa; and Sahaskrit. More particularly, we find sant bhasha, Marathi, Old Hindi, central and Lehndi Panjabi, Sgettland Persian. There are also many dialects deployed, such as Purbi Marwari, Bangru, Dakhni, Malwai, and Awadhi." Sikhism . The Guru Granth Sahib (GGS) By Harjinder Singh. 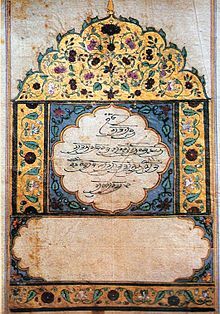 "The Guru Granth Sahib also contains hymns which are written in a language known as Sahiskriti as well as Sant Bhasha, it also contains many Persian and Sanskrit words throughout."